Lot 374. 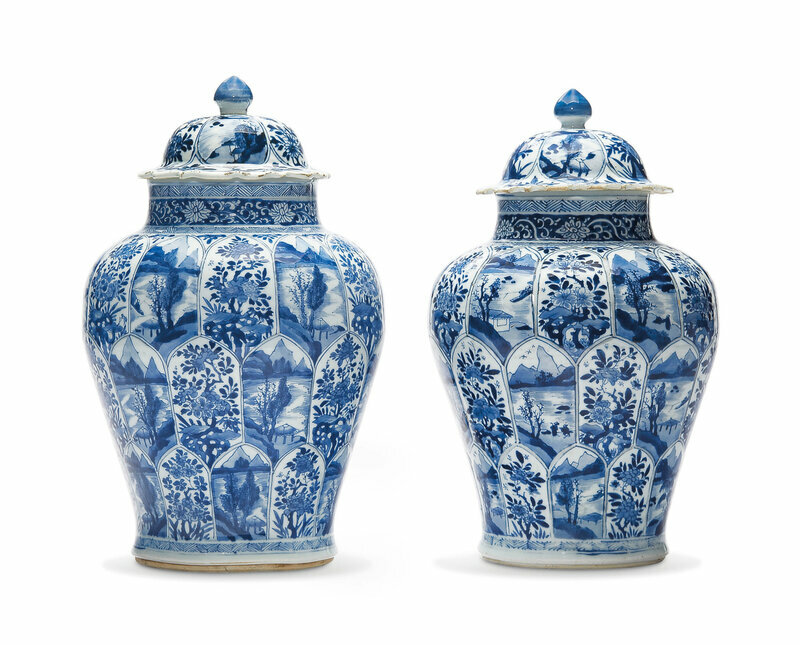 A large pair of blue and white jars and covers, Kangxi period (1662-1722); 16 ½ in. (41.9 cm.) high, each. Estimate: US$15,000 - US$25,000. 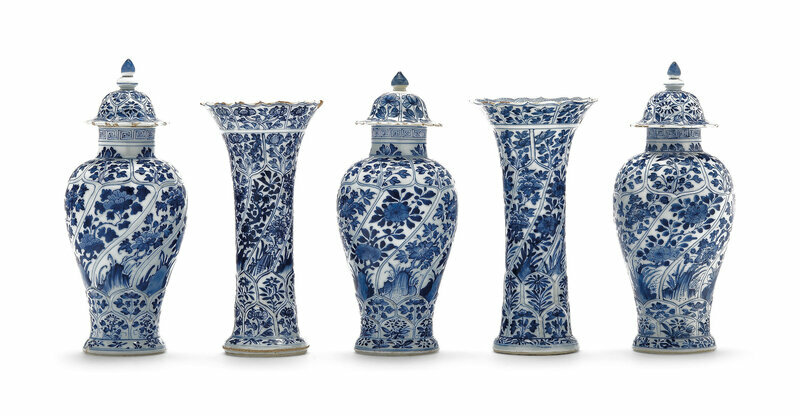 Price realised USD 13,750. © Christie's Images Ltd 2019. 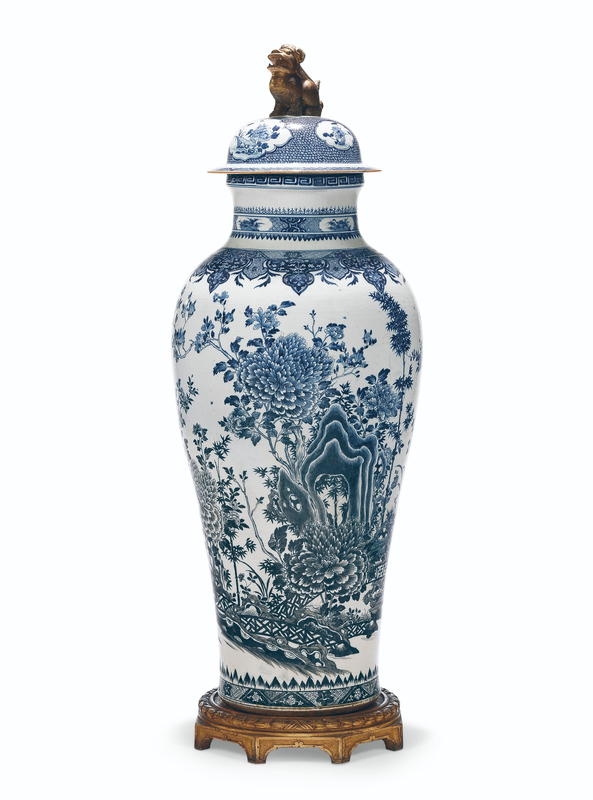 Decorated with rows of shaped panels enclosing vignettes and blossoming branches.